If you like learning from video, you can check out the video tutorials that walk you through setting up your Aero account. Navigate to Work > My Aeros to check out the tasks we created for you. Click the Aero-plane icon to start a task and see the checklist of steps to follow to set up your Aero account. Navigate to Setup > My Company to choose your firm's settings. View the help doc to understand each field and determine the proper settings for your firm. This is where you choose whether or not you want your time to be automatically synced to QuickBooks. Add your team to Aero. Navigate to Setup > Team Members. Note that Team Members need to be added as contacts in Aero before they can be added as new users. Navigate to Setup > Accounting Software Types to add the types of software your clients may use. When you setup your clients, you can specify the accounting software they use, one software type per client. View the help doc for more info on this screen. Navigate to Setup > Aero Types to setup the types of work your firm does. Examples may include payroll, accounts payable, consulting. You can read more about defining the kind of work you do here. View the help doc to understand what the fields are and how to fill them out. Add information to the client vaults. Click here to learn more about the Aero Vault. If you want to gather information before you enter it in the vault, you can use this spreadsheet. Add your contacts. If you synced Aero to your QuickBooks Online account, the contact information for each client was imported to Aero. You can add more contacts - here's how. We can also import your contacts for you. More information. Add or update email addresses. Navigate to Manage > Email Addresses to add alternate email addresses for the contacts in Aero. You can also edit existing email addresses here. Read more about managing your email addresses. Navigate to Manage > Aero Account. Click on the arrow next to 'Account Information'. This is where you can update your company address and contact information, change your subscription level, and enter payment information. For more information about the items on the screen, view the help doc. Navigate to Manage > QuickBooks. This is where you can connect or disconnect to a QBO account, perform a manual sync with QuickBooks, and check the sync log for errors. To learn more about how the QBO Sync works, click here. Ask your team to get Aero Certified so that they know how to use Aero. Consider the Aero Guru certification for at least one person on your team. 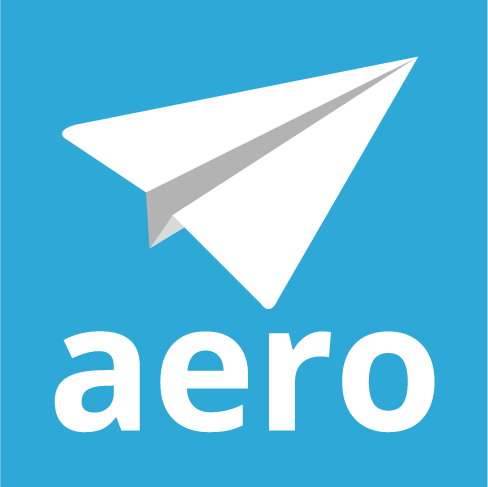 Now you're ready to start setting up your firm's work in Aero!